Code Club provides free projects and resources for you to run a Code Club for children aged 9-13 in your school. You don’t need to have coding knowledge to run a club. Using our step-by-step project guides for Scratch, Python and HTML/CSS is a great way to learn skills and build coding confidence for both you and your students. You can choose to run the club by yourself, or if you’d like some help, you can advertise for volunteers in your local area through our website. Step 1: Create and account on our website. Step 2: Register your school on our website. Step 3: If you'd like to run the club yourself then you are all set! Alternatively, you can advertise for volunteers on our site. Volunteers in your local area can search for your club and then get in touch with you through your club page. Step 4: Meet your volunteers to organise the club and check their DBS statement (or equivalent). Step 5: Add your volunteers to your club using their email address. Step 6: Use the free Code Club projects, which are step-by-step guides for the children to follow, to run the club sessions. Sign up and register your club! 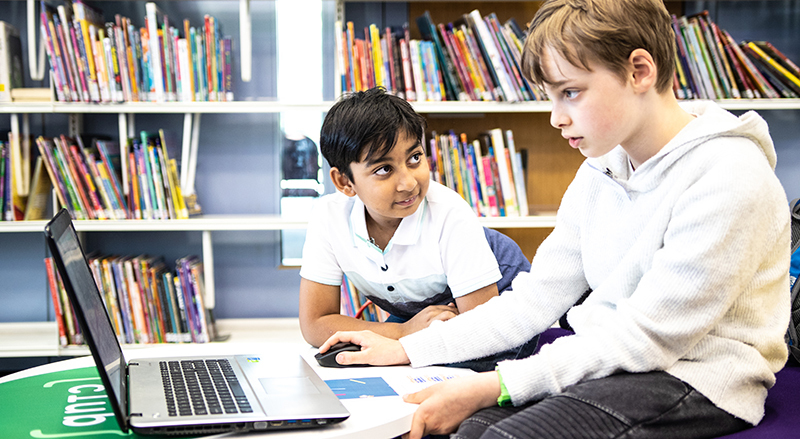 You'll need some desktop computers, laptops, or Raspberry Pis for your club — but don't worry, Code Club is designed to be flexible, so you can use the hardware that you already have to hand to set up your sessions in a way that suits your club. 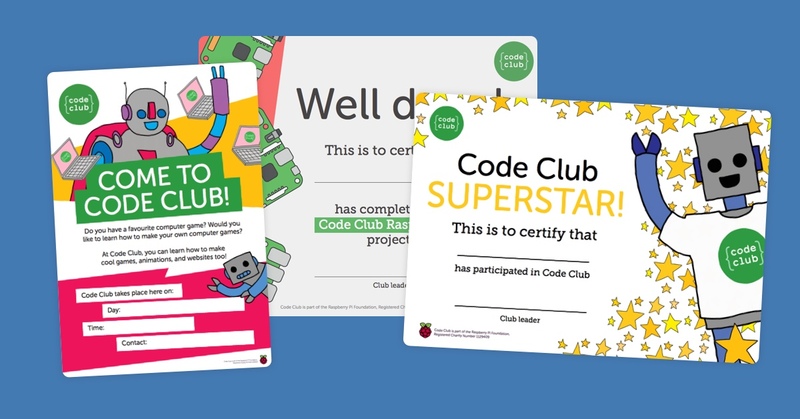 Once your Code Club is set up our site, you’ll have access to great benefits including a welcome pack with stickers and resources, downloadable resources such as certificates and posters and competitions you can enter to win goodies for your club. 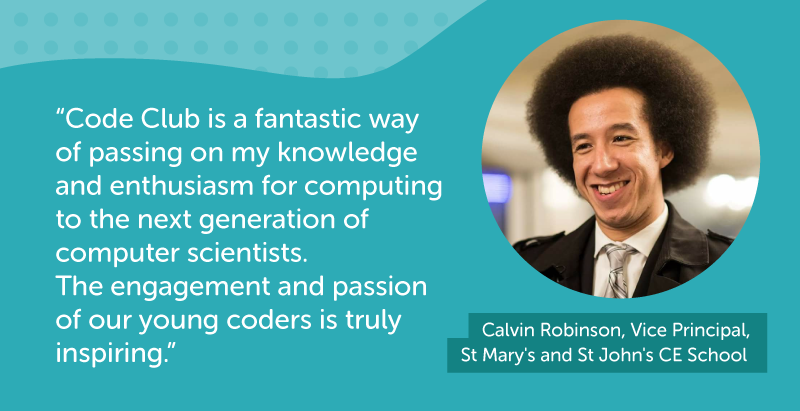 Our team are here to support you on your journey to setting up and running a Code Club in your school.